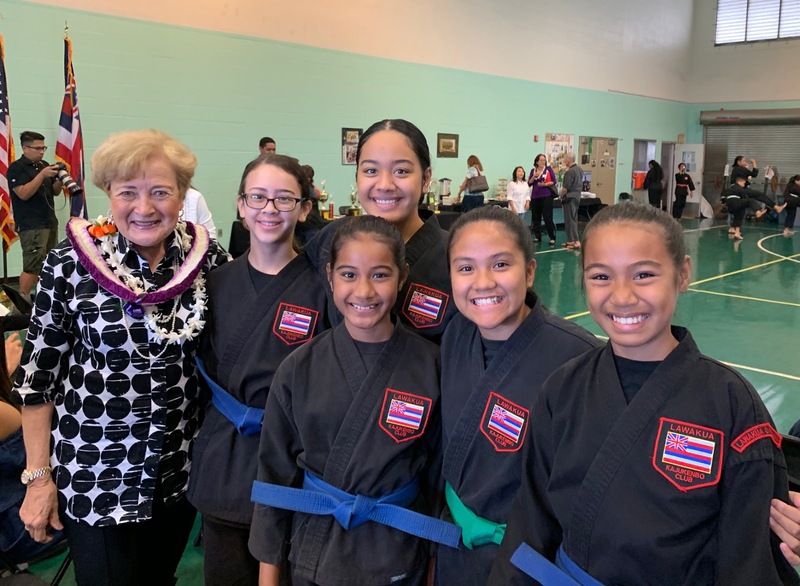 Education is a key component of the Lawakua Kajukenbo Club training and provides significant educational support for its students. Betty White, Sacred Hearts Academy Head of School, congratulates and celebrates these Academy Lawakua scholars on their achievements both in and out of the classroom! Abigail Aguirre holds a 4.0 GPA and is addicted to STEM and Lancer Robotics; Tettaenia Francis has a 3.8 GPA and excels in playing the euphonium in the Lancer Band; Natrimaj Francis, as a 5th grader, is hooked on Digital Art, Math and Science; Adeline Garcia has a 4.17 GPA and is interested in STEM and JROTC; and Serina Ti'a is excelling as a freshman in the pre-nursing program at HPU on a full scholarship! Way to go girls!